Win McNamee/Getty ImagesSpeaker of the House Paul Ryan speaks following the weekly meeting of the House Republican caucus. Congressional Democrats who staged a sit-in Wednesday on the House floor said they would not leave until Republicans allowed a vote on gun-control legislation proposed in the wake of the Orlando terrorist shooting. “We don’t have any intention of leaving anytime soon,” Rep. John Lewis, who led Democrats in the sit-in, told CNN. The move has forced House Speaker Paul Ryan into a bind: Offer to hold the vote, or forcibly remove lawmakers from the chamber. House rules leave the authority of much of the building and services within the speaker’s control. The speaker has authority over video broadcast in the chamber, which the House turned off after a recess was called. The rules allow the speaker to clear the House, an order that the Sergeant-At-Arms executes. Indeed, Democrats appeared ready to be forcibly removed if Ryan refused to hold a vote. Rep. Gwen Moore wrote on Twitter that was more than willing to be arrested for the House sit-in. 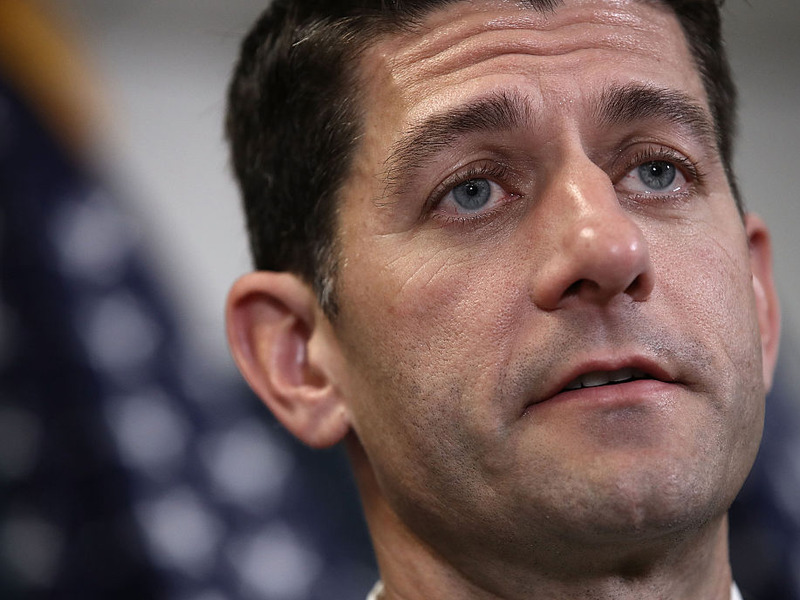 It was unclear which path Ryan would take if House Democrats did not end their sit-in voluntarily. The Huffington Post reported that Democrats planned to virtually hijack the House floor until a scheduled recess later this week. A top House Republican aide told Business Insider that leadership was mulling different options, while other reporters noted that House leadership was waiting to see how Democrats proceed. The type of sit-in that Democrats were holding is fairly rare. As the Washington Post noted, House members have only staged two such protests on the floor in the past several decades. Democrats took to the floor for an extended protest during a budget battle in the 1970’s, while Republicans staged a protest to expand oil drilling in 2008. The House sit-in came a week after Sen. Chris Murphy launched into a 15-hour filibuster on the House floor, calling for greater gun safety measures. Earlier this week, the Senate rejected a series of bills gun safety bills, including new measures that would have updated the background-check system for purchasing weapons, as well as a proposal that would have barred individuals on the FBI’s terror watch list from purchasing weapons. Some Senate Republicans are currently rallying behind a narrower gun-control bill spearheaded by Maine Sen. Susan Collins that would prevent people on the watch list from buying guns.